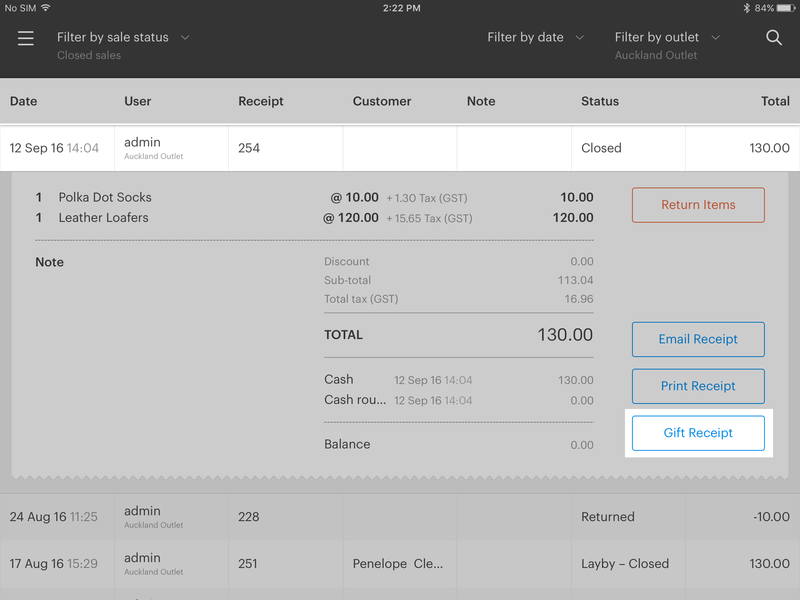 Reprint Receipts from your Sales History on your iPad – How can we help? 1. Ask the customer for their receipt (if required under your policy) or for their name and date/time of the sale or other details required to find the transaction. 2. Tap the menu button on the top left of the screen and select Sales History. 3. Click on the sale you would like to reprint, this will expand the sale and show more details. Looking for an older sale? Try to filter by date or use the magnifying glass on the top right to search for a sale by customer, user or receipt number. 3. 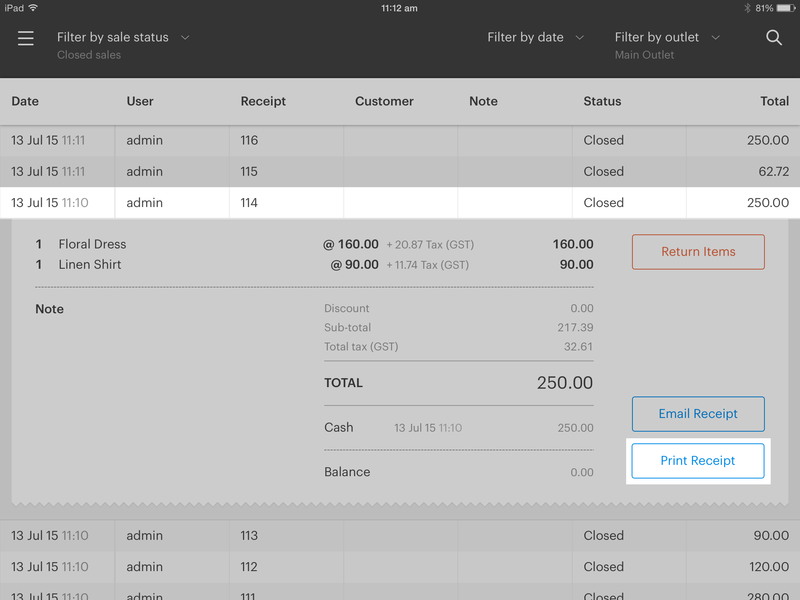 Use the filter options to search by closed sales, receipt number or other details if required. 5. On the right of this expanded view is a Gift Receipt button. Tapping this button will bring up the print preview screen from where you can print out your receipt.